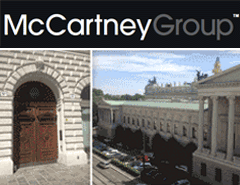 McCartney Group GmbH | All You Need Is News! The company is focused on music, entertainment, touring, merchandise, publishing and media. We have also recently opened a Tennis/Sports management department under the tutelage of Coach Gilbert “Schilly” Schaller. So if you’re headed to Vienna, stop in for a “Kafécht’l” at our downtown digs.